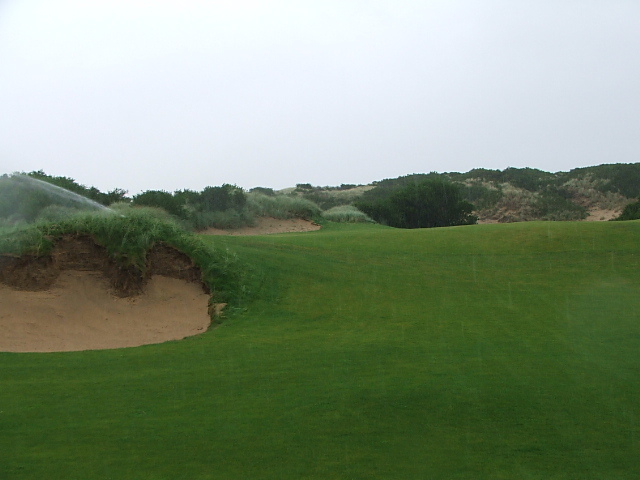 Barnbougle Dunes is the first of two courses that will make up a world class golf resort in Tasmania. 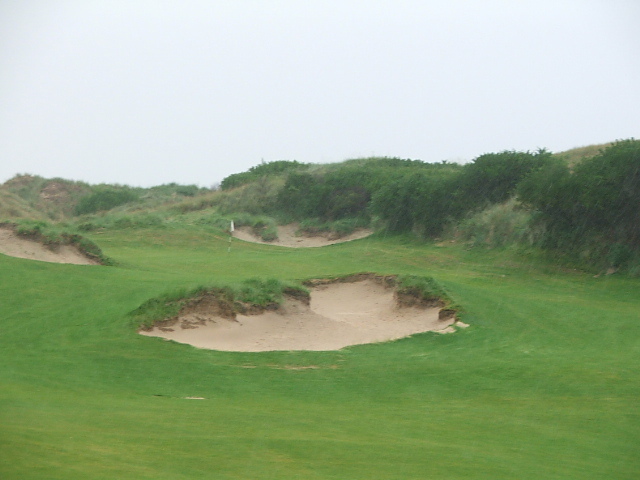 Owner Richard Sattler had the foresight to hire one of the premier architects in the world for the second course: Coore & Crenshaw, although the course was done entirely by Bill Coore. Located right next to Barnbougle Dunes, Lost Farm opens on October 1 of this year and will no doubt raise the profile of Australian and Tasmanian golf in the world to even greater heights. I was given the chance to take a pre-opening tour of the course with Richard as my guide. 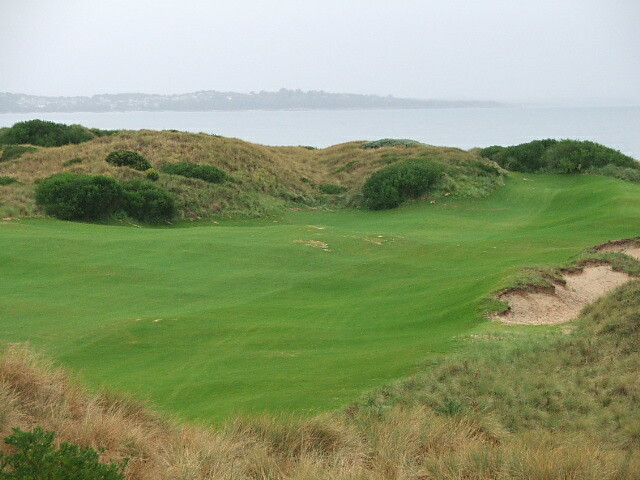 You can see parts of Lost Farm situated right next to the tee box on the sixteenth tee at Barnbougle. In addition to another great golf course, Lost Farm will have a big (but appropriate to the site) lodge and spa set on a high ridge at the top of the property, overlooking Bass Strait. I have traveled to many good clubhouses over the years with world-class views including Shinnecock, Sebonack, Maidstone, The National Golf Links, Pebble Beach, Cypress Point and Turnberry. In my opinion the view from this new clubhouse is as good as any of them. 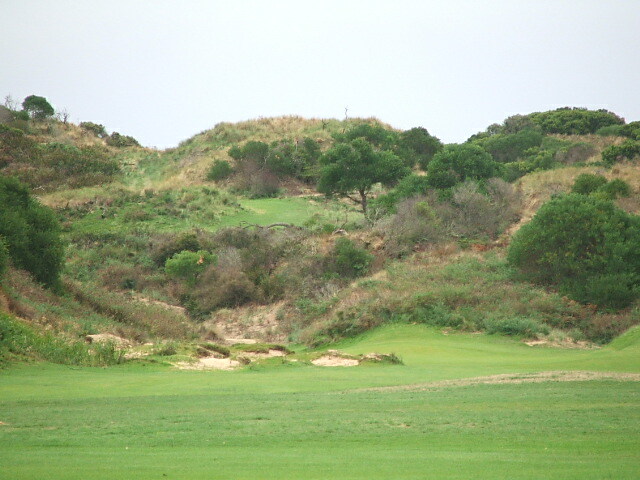 The Barnbougle clubhouse is set within dunes basically at sea level. The clubhouse and lodge here are significantly higher, set at the top of a hill with a view of the course, the dunes and the water. 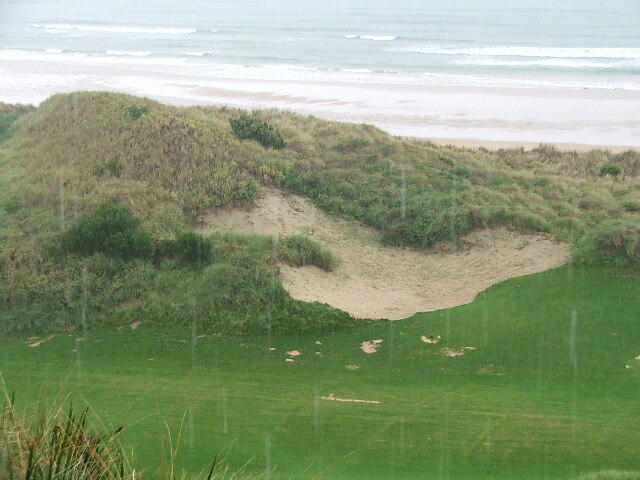 The biggest sand dune I have ever seen is at Lost Farm. 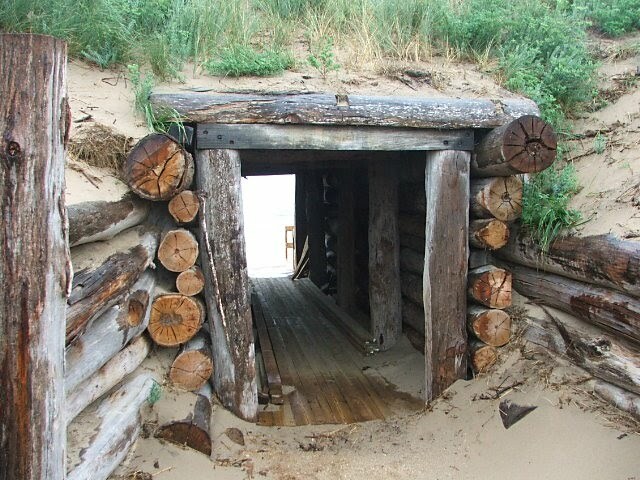 This picture below shows the 25 meter high dune, which was naturally blown into place by wind. To give you the sense of the scale of the dune, it is 300 acres in size. Sometimes it is difficult to tell from pictures which holes are really good or situated in a unique location. Whether the picture below shows it or not, this one is going to be great. 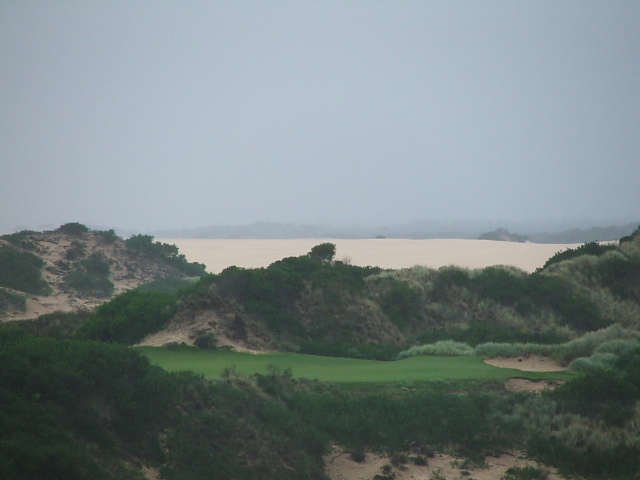 It is the fourth hole, a par three of only 120 meters, cited on the top of a big dune where the tidal estuary meets Bass Strait. It will be the signature hole in my view. Standing on the tee box here you have a brilliant view of the Strait and the wide beach to your right, and Barnbougle Dunes straight and to your left. The hole will play into the wind, so club selection will no doubt make this more than a simple short iron shot. It's quite a special location. The seventh hole will play downwind and features a very large grass mound in the middle of the fairway which will present some great strategic options: to go over, left or right? It looks like Lost Farm will have just as interesting and varied a routing as Barnbougle, through the dunes. The course will have twenty holes; that is, two extra par threes, that can be used alternatively in the routing. 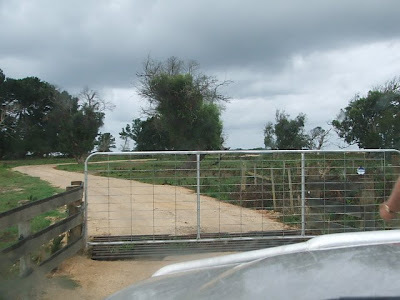 Sattler is a Tasmanian native; a burly local farmer and rancher, he is an unpretentious gem. He was as excited as a kid on Christmas morning to show us his baby. He drove us around in his beat up 4 x 4 on a rainy day and it was one of the highlights of my trip Down Under. If you ever become jaded by corporate, cart path, waterfall-spectacle golf-as-an-adjunct-to-real-estate-development, come and spend some time with Richard Sattler. As an owner, this guy is the antipodean antithesis to Donald Trump. I think he was rather unimpressed by my cashmere sweater and Gucci loafers. 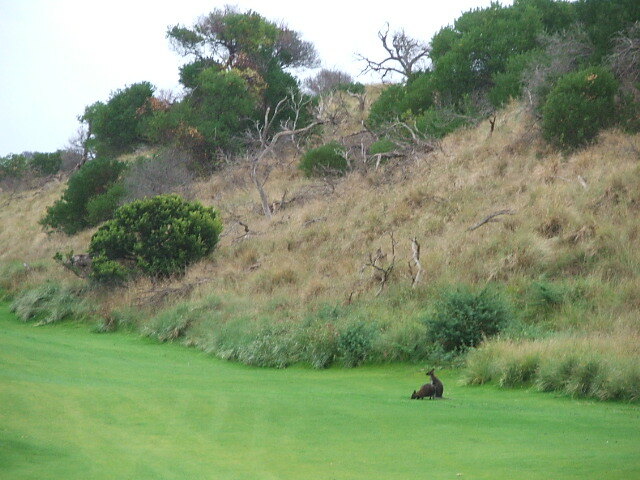 We saw a couple of Wallabies on the tenth hole while touring. A Wallaby is in the same family as a Kangaroo and looks very similar. There is a rustic wooden tunnel near the fifteenth hole with access to the beach. There will be a place to sit and have cocktails and enjoy the wide beach and great scenery on the other side. I hope the airlines are ready to expand their capacity of flights into Launceston, the closest airport, since I predict that when the course opens it will become a must play for all the world’s golf crazed. As with Bandon Dunes, critical mass seems likely to occur when you have two great courses nearby; enough to entice golfers to make the long trek when they wouldn't do so for just one course. Where do you think it will enter the rankings when it opens? Almost impossible to say without seeing the final design and every hole. Based on Coore-Crenshaw's prior works at Sand Hills and Friar's Head, my bet is somewhere in the top 100, likely in the 50-75 range. There are some (particularly Michael Clayton, the co-designer of Barnbougle) who say that Lost Farm will be rated a lot higher than that. 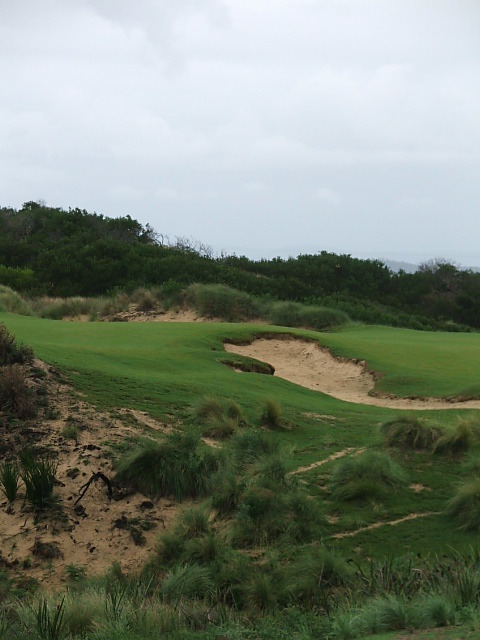 He has said it may be ranked as Australia's no 1 course straight away, at it's first ranking. 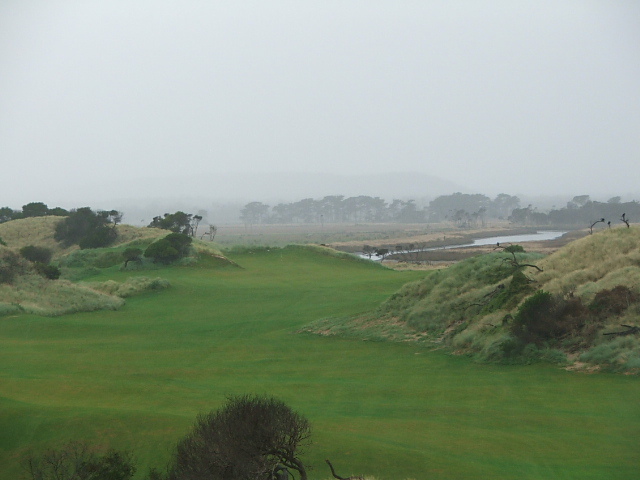 It has the only thing that Barnbougle lacks: holes that run north-south. 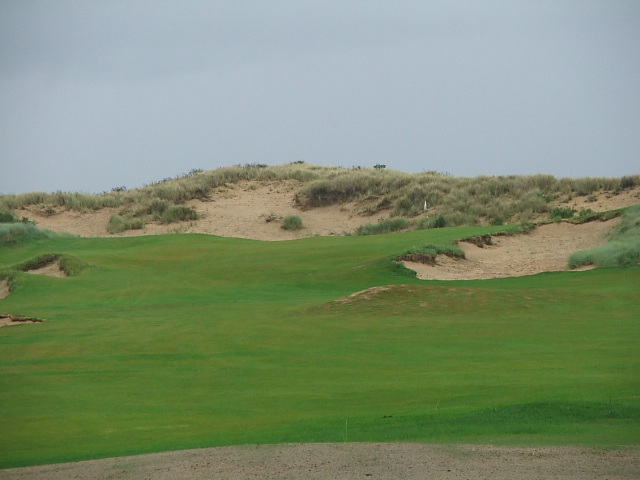 Every hole at Barnbougle runs east-west but if it had a par five, two par threes and a few par fours running north-south it would be Australia's best course. Lost Farm will probably not make the 2011 rankings but it will be interesting in 2013. Also, what do you think about Ellerston not being ranked in the world top 100 list? It is comfortably in the top 5 in Australia but has never made a world top 100 list. Does a course have to be played by a minimum number of panelists to be ranked? Or is it just because it is the world's most exclusive course that it does not get ranked out of principle? Bill Coore gushes on about how great the property is so Mike Clayton may be right. Ellerston is hurt because its lack of access hurts its ability to be seen and thus rated, not out of principle. What top 100 ranking do you use? I have seen Butler National ranked ahead of many of the US courses on your list on Golf Digest's top 100 American courses. I'm playing Golf Magazine's 2003 list of the top 100 in the world. The ranking of purely the American courses ranks a lot of courses above some of the ones I am playing, because obviously there is a greater pool to draw from when you open the criteria up to the world. Your pictures of the seventh fairway are actually the fifth fairway. The fifth hole is an amazing golf hole -- one of the great holes of the world, and perhaps the second best fifth hole I have ever played (behind the fifth hole at New South Wales). I just played Lost Farm yesterday -- and agree with your assessment that it will immediately make the top 100 in the world and will likely be somewhere in the 50-75 range initially... and may ultimately go higher than that. 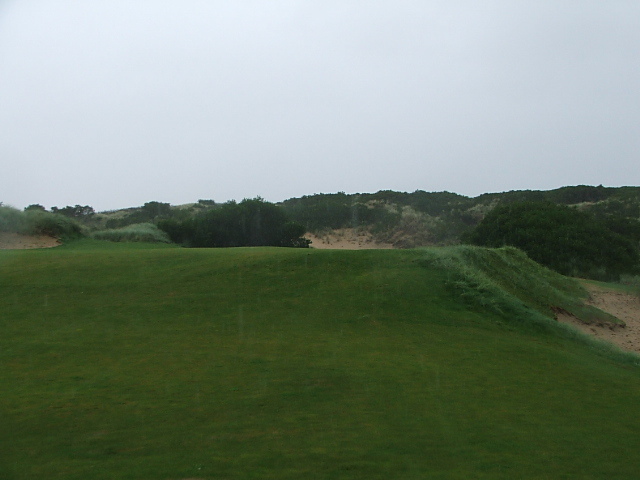 I do not think the course is as good as Barnbougle Dunes, which is a true gem. Thanks for your great blog. 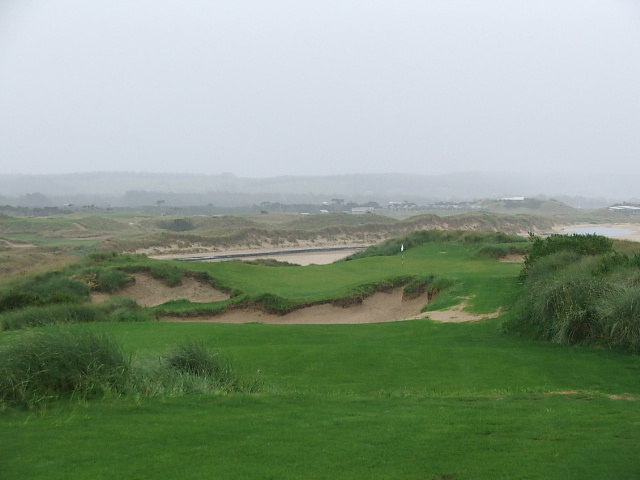 6 of us flew from Melbourne last weekend and played 36 holes at Barnbougle, then 36 holes at Lost Farm the next day. Yes, we were exhausted - but thrilled that Lost Farm lived up to the hype. I had played Barnbougle 5 years earlier. Lost Farm is certainly more diverse & spectacular. But will need a year or two to settle in. The greens in particular need some time as they were soft and quite slow.